I'm Jessica aka Miniature Rhino. My young cousin once had an imaginary friend named Dr. Rhino. He was a dentist, obviously. She'd talk to him in the mirror by making a mustache with her long hair and lowering her voice. Since then, the rhino has become a symbol of creativity and imagination for me and inspired the name of my creative handmade business, which I launched 2009 in Brooklyn, NY. 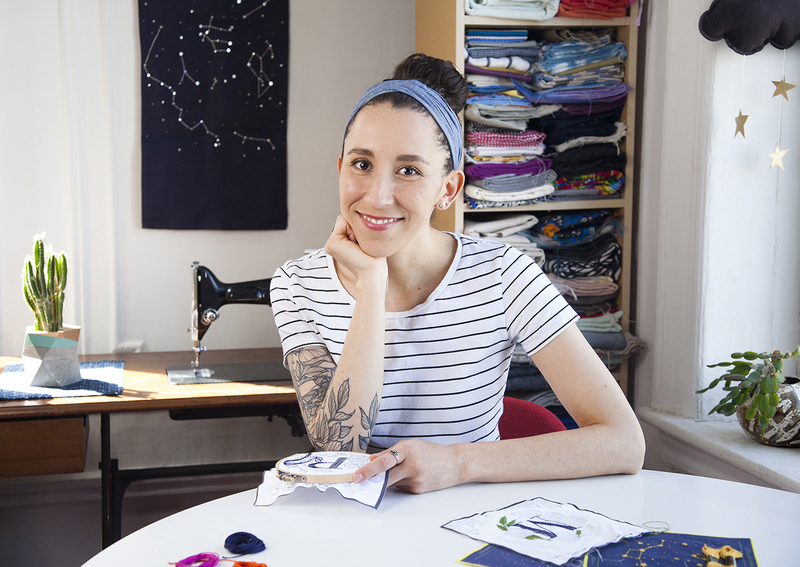 Beyond creating patterns and kits, I have written two books Make and Mend (Ten Speed, 2018) and Stitched Gifts (Chronicle, 2012), I contribute articles and DIY projects to online and print publications like Mollie Makes and Design*Sponge, and I love teaching. I teach in person throughout the country and online Craftsy classes in embroidery and photography.